It looks beautiful yet somehow bare without all the flowers. It is still such a beautiful and spoecial place though. 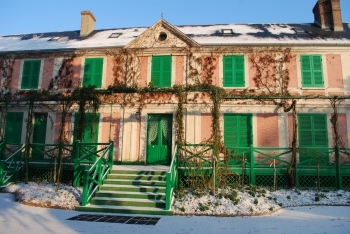 The checked curtains of Monet’s home are yellow or blue. It is a traditional pattern, normally this fabric should be easy to find. I am planning a visit to Normandy and spending endless hours trying to navigate the internet and my way/stay there and I happen upon your blog. I am deeply touched not only by your beautiful photos and posts but because I sense joy in what you are doing. What more is there except share it as you are with us fortunate readers. Blessings! Oh, thank you very much for your kind comment. I am so happy about what you say, because it is a challenge for me to write in English. I am glad if I manage to share my joy about this little corner of paradise. For more on Giverny you can also visit my French blog, http://givernews.com. I wish you a wonderful time in France! 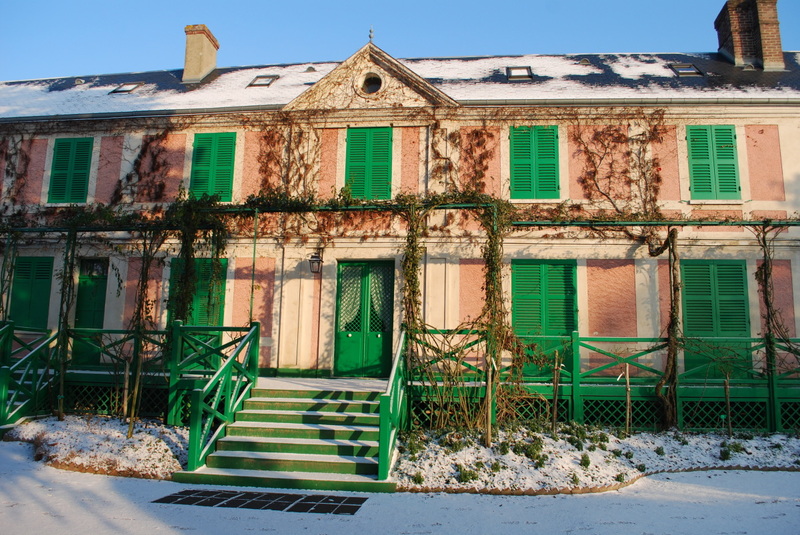 I am going to Giverny in December and Monet’s house wil be closed. Can I still see the gardens? I am particularly interested in the water garden. How much of the gardens can I see without entering the house? Will appreciate your advise. Thank you! I’m so sorry it will be closed. You can try and have a look over or through the fence, but actually I’m not sure it is worth the trip to see an empty garden without any flowers. In winter it is bare ground here, and there are no leaves on the trees, it is not very interesting.